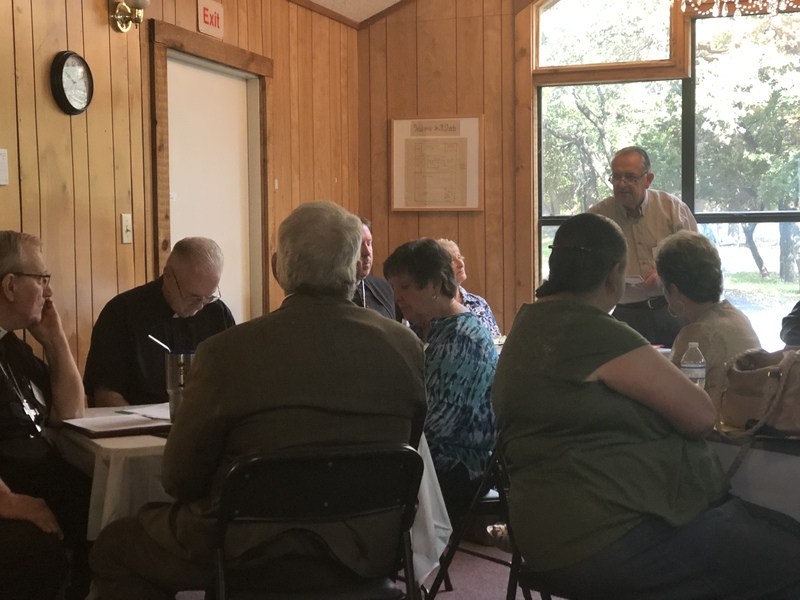 The Diocese of Mid-America (DMA) held its Ninth Annual Synod on July 26 – 27, 2018 at St. Chad’s Anglican Church in San Antonio, Texas. 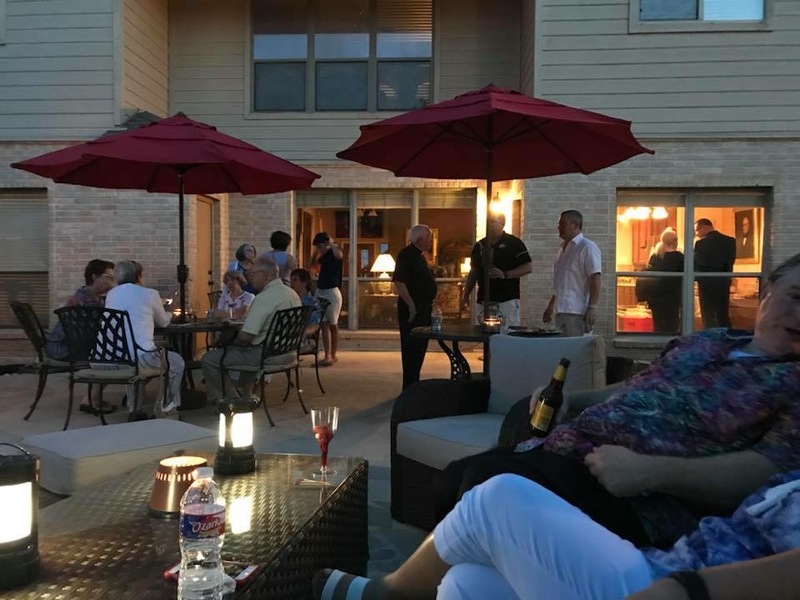 A reception was held at the home of the Right Rev’d Robert and Norma Jean Giffin on July 25th to welcome all synod attendees. 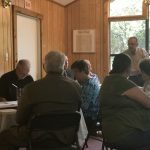 The business meeting was held on Thursday and Friday, with 35 registered participants in attendance from five parishes and missions. 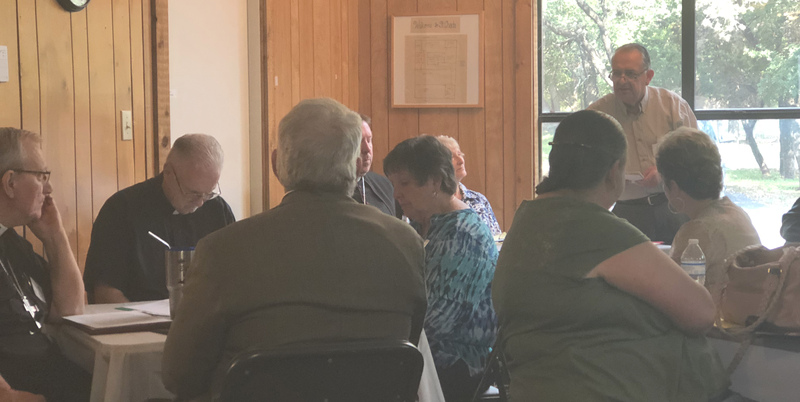 Also present were the APA’s Presiding Bishop Walter Grundorf, his wife Mary, as well as special invited guests from the Diocese of New Orleans, Anglican Catholic Church. 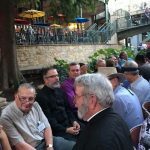 Bishop Giffin gave his synod address (address is below) and Bishop Grundorf reported on the state of the Anglican Province of America. A special presentation on the Anglican Province of America’s Global Partnerships was given by Dr. Mary Grundorf. St. Chad’s Church was named as the Pro-Cathedral of the Diocese. Fr. Benjamin Holland was appointed Sub-dean of the Pro-Cathedral. Fr. Holland and Mrs. Lorraine Cheeseman were elected to three year terms on the Standing Committee. Fr. 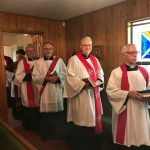 John Lohmann was appointed to the Board of Examining Chaplains by Bishop Giffin. The attendees were treated to a tour of two historic San Antonio Missions: Mission San Jose and Mission Concepcion. 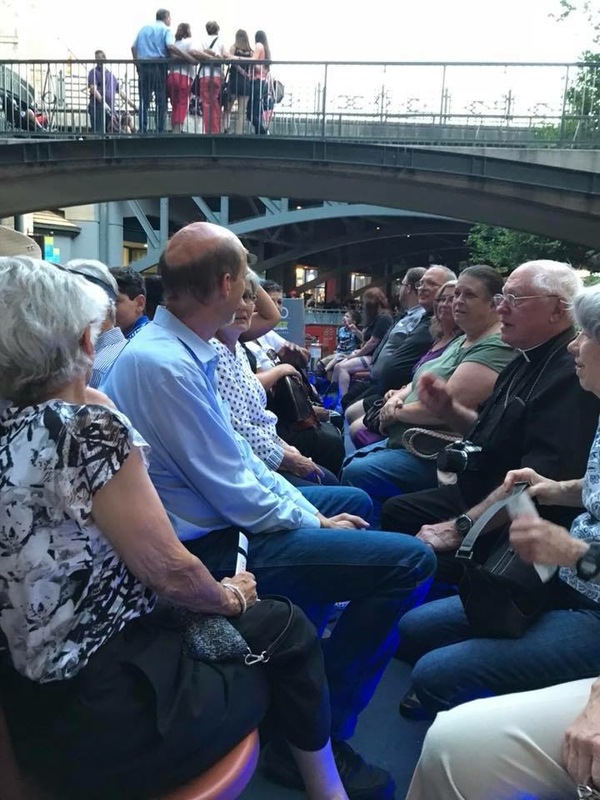 A dinner at a local landmark Mexican restaurant and a riverboat ride along the San Antonio River concluded the social events on Thursday evening. Bishop Giffin’s address to the DMA Synod. We assemble as a Diocesan Synod, in the name of God the Holy Trinity, on the eve of tomorrow’s transferred Feast of St. James, to reflect once again on our work as a Diocese as well as our identity as Traditional Anglicans. 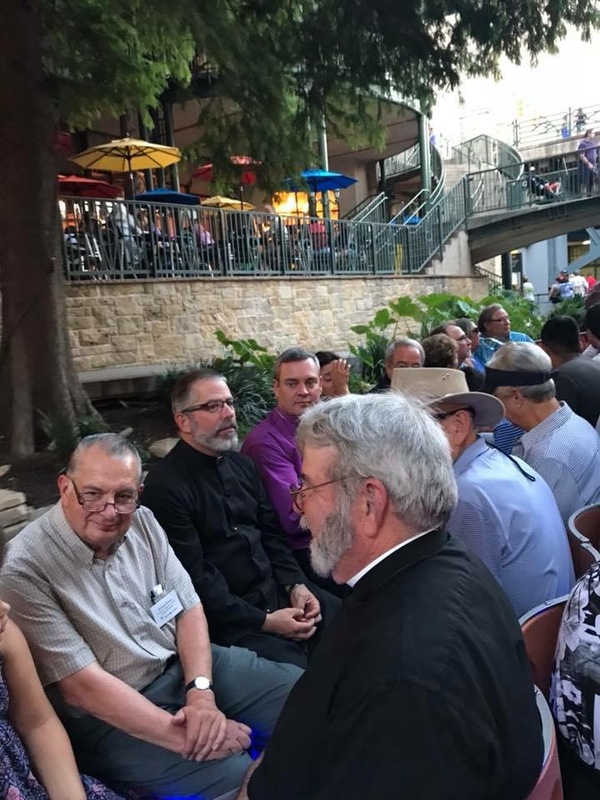 I would like to welcome Presiding Bishop Grundorf and his wife Mary in joining us here at this historic Synod at St. Chad’s in San Antonio, in this the 300th Anniversary of the birth of our See City. 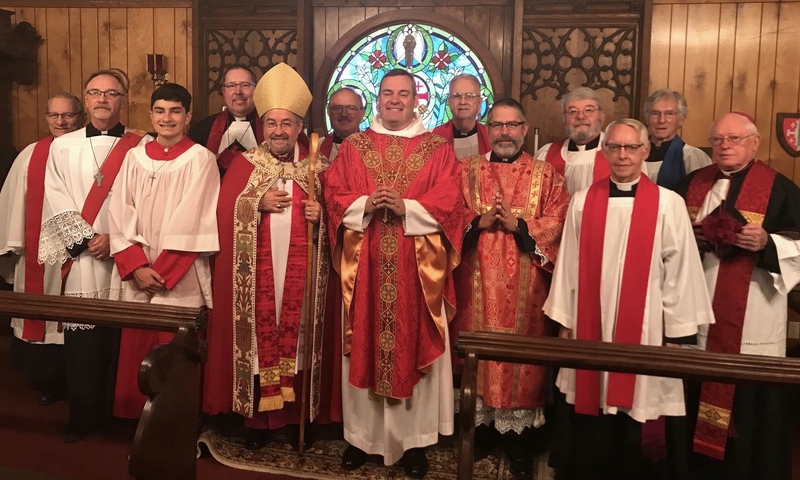 I wish to welcome as well our fellow clergy from the Diocese of New Orleans of the Anglican Catholic Church: Vicar General Dickerson, Archdeacon Monroe, and Fr. Meredith. Welcome, old friends. I will give you the opportunity to bring greetings from the DON after my address. 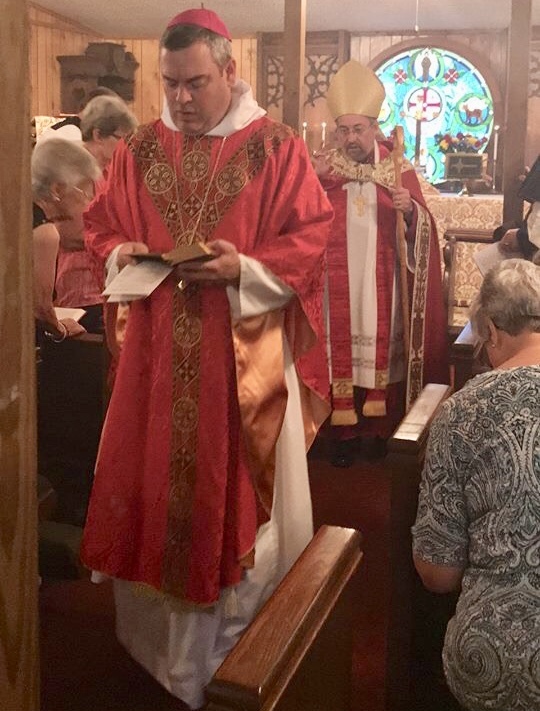 As many of you know, I was most pleased to attend the Diocese of New Orleans Synod in Metairie, LA, this past month, and hope to attend again in the coming years. 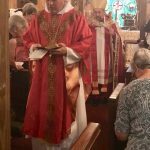 I know many clergy in the Diocese of New Orleans from my days as a priest in the ACC. As I look around, I am profoundly grateful for you all, for the time you, and many, in our parishes and chaplaincies give faithfully to the proclamation of the Gospel and to the work of the Church in our time and place. This is the third address that I give to you in Diocesan Synod as your Bishop. As ever, my overriding concern is to reflect on our times and to set alongside those reflections some aspirations of what sort of Church, what sort of Christians, we are called to be. 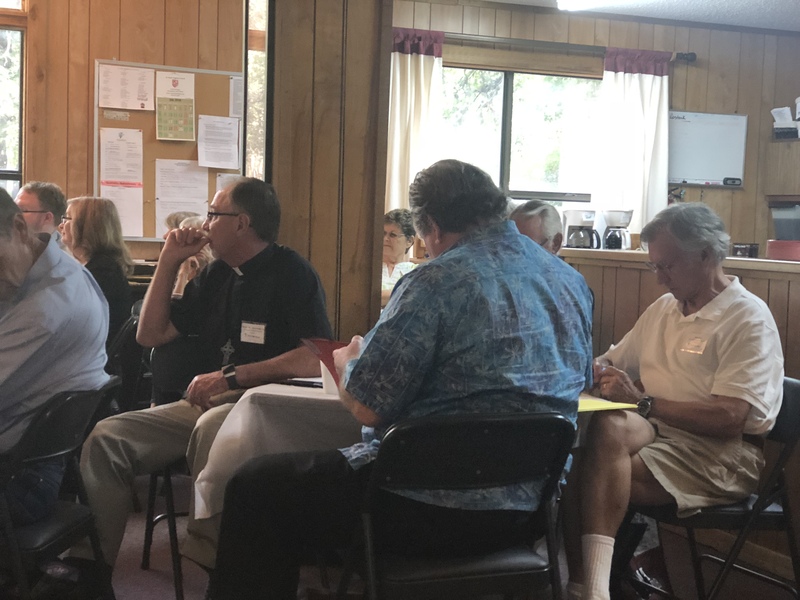 My hope is that, as clergy leaders and lay leaders in the Diocese alike, you will draw some encouragement, inspiration and motivation for our on-going work with Jesus Christ towards his kingdom. 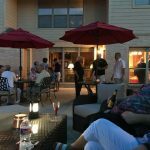 I know from listening to you, that many in our Diocese are concerned about the aging profile of those who participate and who actively support what we are doing day by day, week by week and year by year. 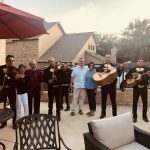 Well, there is good news! The Provincial Office reports that the Diocese of Mid-America had a 45.7% growth rate in the number of communicants during this past year! 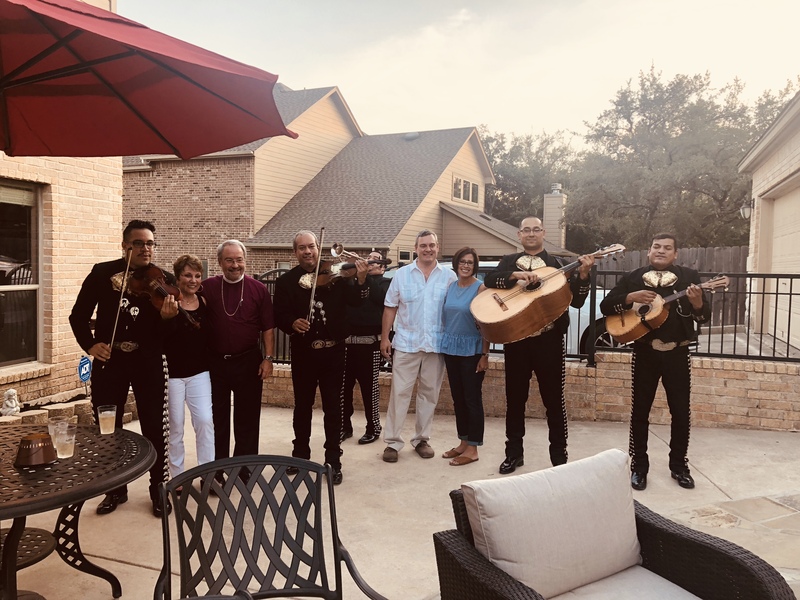 Further, we have begun new missions in New Braunfels and Conroe, Texas, under the respective leadership of Canon Bob Cheeseman and Fr. John Lohmann. 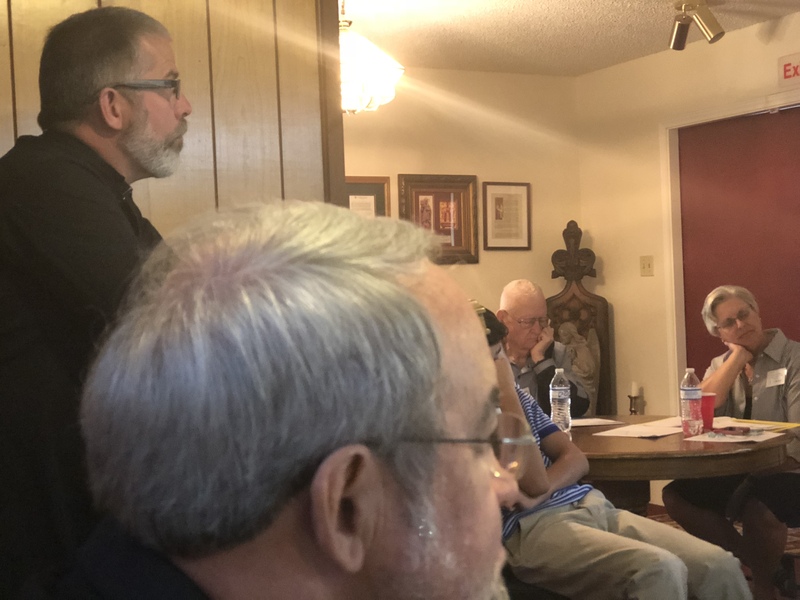 Our work continues in other parts of our geographically vast Diocese as well, a Diocese that stretches north to the Upper Peninsula of Michigan and south to the Rio Grande. You may ask: what does this mean Bishop, if we are still a small Diocese? What impact can we have? The answer, Beloved, is this: if we focus on the lost, the unchurched, the distressed, the dispossessed; and engage with them realistically, rationally, and in faith, this is the proper course for Christians. Jesus, the Word made flesh, God who ‘lived among us for a while’, embraced and was caught up in the ordinary demands of life and he calls us to do the same, for him and his Kingdom. We will grow, and HAVE grown, when we are faithful and true. In our faith, as witnessed in the Scriptures, there is a special place for the stranger, the person who seeks hospitality, the hungry and thirsty, the naked, those who are sick or in prison. 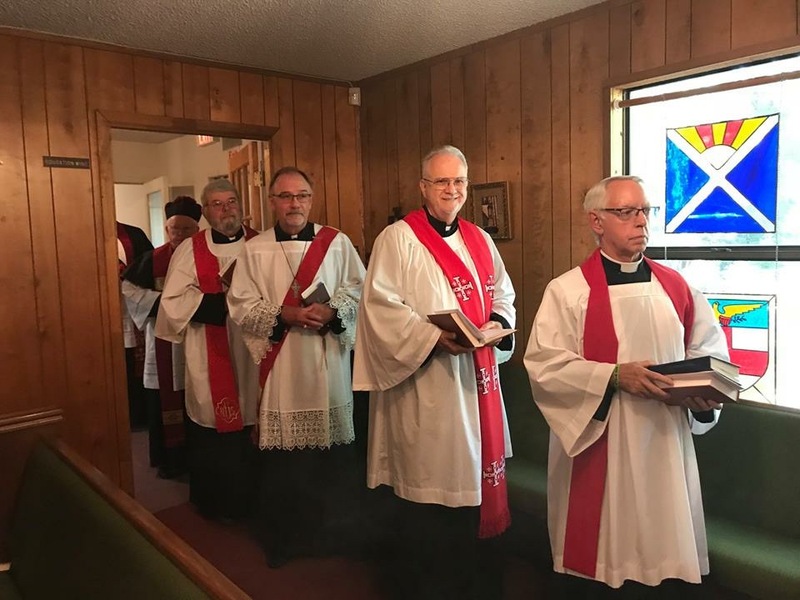 Under God, and because of the promises of God, we need to manifest a confident and positive determination in our mission and ministry, ready to go where the Lord is leading us on our journey as Traditional Anglican Christians. The demands and opportunities of these times call out for precisely such confidence. Let us encourage one another, build one another up, with confidence and hope, for it is certain too that negativity and defeatism risk making failure certain, and demotivating others around us. When you listen and hear about the APA’s foreign missions in Ecuador, Haiti, India, and the Philippines, a sense of confidence and joy in the Christian faith is evident, manifest and palpable. 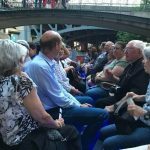 In an age when we hear the clutter of anti-religious voices in our society, and the clamour of people opposing the religious way, we might think that believing is the odd thing to do or to be. 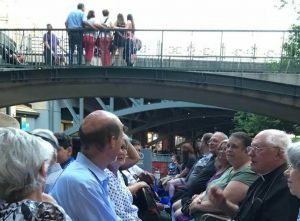 It is not – many billions of people in the world are believers like we are; pilgrims on a journey through the mystery of life with Jesus who is ‘the way’. 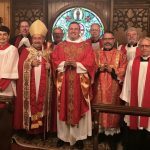 The future of the Continuing Anglican Church will be different in the coming decades; that is certain. 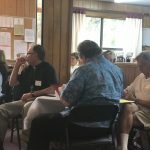 We will have to adapt in some ways to attract a new generation of believers that were never exposed to the Episcopal Church or any other Anglican manifestation. We will have to change. Deep down we all know that. Reason tells us that. However, this does not mean a discard of Tradition, prayer books, missals or hymns. Tradition is the story of faithfulness. The scriptures are themselves the stories of journeys that are made with God, changed by God, and transformed by God. Our liturgy and polity has been tested by this journey. We stand on bedrock, not shifting sand. Our Anglican inheritance is rich and diverse. 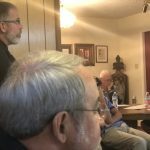 It is vitally important that we see the Anglican Church is not merely a “product” of the Reformation; but rather as a Catholic Church that passed through the Reformation and was influenced by it. If the good Lord spares me, I will have decades before I retire as your Ordinary. Naturally this gives me pause for thought as the issues before us are challenging. There is much to be done, and I look forward to working with you to do it. As we come here today to this Diocesan Synod we commit ourselves afresh to be faithful, energetic and creative disciples of our Lord Jesus Christ. May God the Holy Spirit guide and bless us as we begin our work in this Synod today.